Join us for singing and sisterhood! We are excited to launch our IWD Normanton Women’s Choir, thanks to University of Derby Community Fund, starting on Monday with six singing sessions with choir leaders Beth de Lange and Jo Lewis, plus a special performance at the International Women’s Day Festival. No singing experience needed – shy singers welcome – come and try something uplifting for 2017! And performance at International Women’s Day Festival Derby 2017 on Saturday 11th March. The choir is FREE to make it accessible to all (but a £2 donation would be appreciated if you can). We are especially keen to involve women from Normanton but women from across Derby & Derbyshire are welcome – let’s raise our voices together! Singing in a group can lift your spirits, improve wellbeing, boost confidence and bring new fun and friendships. Choir leaders Beth De Lange and Jo Lewis will teach us songs from around the world and from our #HERstory – we look forward to singing with you! We wish the world a very happy International Women’s Day 2016! Join our FREE community celebration from 10am-4pm in Derby Market Place with live performances, drumming, dance-alongs, open mic, sports and over 40 stalls, activities, good causes and family fun under a big marquee. Our inspiring IWD 2016 workshops.doc take place at QUAD and our free crèche kindly provided by Busy Bees Heatherton is hosted by Derby Museum, The Strand. Thank you to all our supporters, volunteers, stallholders, performers and visitors for being a part of our special annual festival! We’re proud to support our local VAWG Forum led by Vox Feminarum and partners with a programme of community workshops, talks and a rally to end all forms of violence against women and girls worldwide. 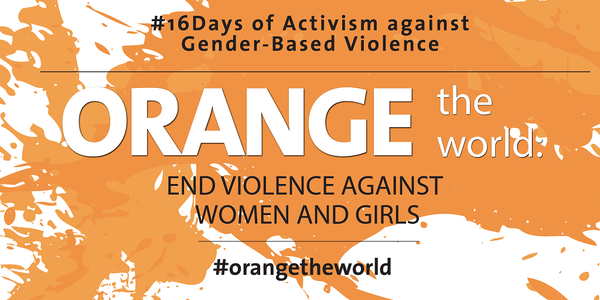 The 16 Days campaign is global and runs from 25th November to 10th December. We are facilitating two of the events – Brothers Beside Us on 3rd December at SV2 exploring inspiring actions men can take to end violence and Grooming of Girls in Derby together with Safe and Sound on 6th December to educate about the signs and effects of grooming and how to stop it, at the Mandela Centre. Derby’s hidden HERstory – do you know about Derby’s Suffragette connections? 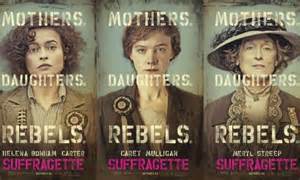 Join us at 6pm Friday 16th October 2015 at Quad for a special screening of the new film Suffragette followed by an inspiring post-film talk. Local HERstorian Rosa Straw, of Culture Train, will reveal some of the unsung HERoes of women’s suffrage and activism in Derby & Derbyshire, bringing a local flavour and celebrating the women who blazed a trail for us to follow and build upon today. Suffragette-inspired goodies in purple, green and white will be on sale on the night, plus donation tins for the talk, to raise funds for our city’s International Women’s Day community festival next March. All genders welcome. Film certificate 12A. With thanks to Quad for hosting.